That after famine and plague the secret will be revealed. * The East (Moon) + West (Sun) remained hostile... But after much world troubles, the secret (Truth) will be revealed. Will take Diana's day as his day of silent rest. * Master traveled to many different countries to meet with world leaders and other concerned persons about living conditions, resettlement and other urgent issues surrounding the Aulacese refugees. * Mars: Fire (Inner heavenly Light) - This flame already has been spread the world over! His eyes in the middle, his hands on his breast, his body in the fire. * Master was enlightened when She was still very young. She saw the inner MOON within Her mind's eye. In addition, one time while with Master, the residents witnessed the moon remaining in one place over the top of a mountain for a very long time. 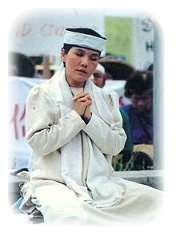 * Our fellow practitioners always greet Master with the "eternal-life wishes" song. - One of Master's pen names is "Wu Tzu," which means, "never die." * The last sentence describes the all too well known position of our Light and Sound meditation practice. And we, as well as others, have seen the body of Master radiating heavenly Light (Fire). Such that one will say elect the healthy survivor of the prematurely born twins. * Twin child - Master and Her "Twin," - Her manifestation body. * Using modern equipment and powerful loudspeaker systems, Master delivers discourses about the Inner Sound. * Prematurely born twin; "Master is too young to be so enlightened," is a comment often made by audiences. Even so, everyone was convinced by Master's powerful speech and recognizes the Supreme Master (elect the twin). Long awaited One will never return. And over all the Kings of the East will he grow. * The Master did not reincarnate where people expected. * Hermes: Master's doctrine is an enlightened, non-dualistic teaching such as that of Hermes. 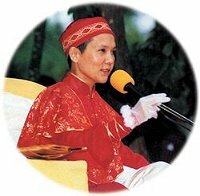 * Above worldly power, the teachings of the Master will spread first throughout the Orient; Master traveled and lectured throughout Formosa, Singapore, Indonesia, Hong Kong, Thailand, Korea, and Japan... (All the Kingly Countries of the East. 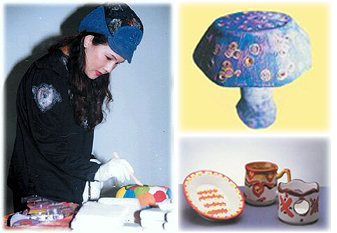 Her teaching was sown there first, where it sprouted and grew most strongly! Not until seven hold the hierarchy in succession. The heavens approach the Balance. * Libra means Balance: The Pluto transit of Libra, circa 1972 to 1984. * Master went to the West in 1972. 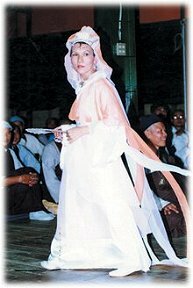 In 1983, She began initiations in India, Formosa and Germany, and 1984 in the USA, thus bringing souls back to life and releasing them from their earthly tombs (body). * The power of the Eastern Master will destroy evil and change the course of the warring period, heralding a better future. And to destroy the sacred [or false] temples of the impure ones. * The restricted, sterile religious belief systems will be destroyed. * Master teaches us to be free, and that we do not to have to leave home, or repress our emotions and feelings to be enlightened. The real temple is our body; the real abstinence is detachment from all worldly gain and loss while fulfilling our "give and take" duties according to our karmic destiny. * "Rose": Feminine, Female Teacher. * Master intervened on behalf of Her people in refugee camps after learning of their sorrow! * Thousands of people gathered to pray for the cause of the refugees; millions signed a document of support to send to the world leaders, but very few wanted to hear. It was feared that this agonizing energy of a suffering mass would cause havoc if God did not bless the world with peace! They will come to put a just man to wrongful death. That the judges will be coerced to flee. * The desperate refugees killed themselves in full view of the world! * Great pestilence will arrive in turn. The apprehensive youth and barbaric terror. * The lake [Hsihu (Center) means the "West Lake"] reflects thousands of happy faces of fellow Quan Yin practitioners since Master moved there. * And Master and disciples, all bedecked in gold ornaments, modeling jewelry of Her design! ! 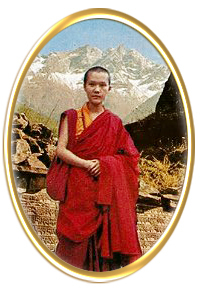 Master and resident monks appeared in red habits (Master designed). * The above lines befit situations that Master and disciples have encountered in several places and countries, through these unpeaceful times our spiritual strength has shone forth, proving that to live in this world, one has to be above it. Recalling past incidents, we should be happy to discover our detachment for all earthy possessions, honors and defamation! * Fire: The burning of our literature and property by fire in the past through religious misunderstanding. * Water (Ink): The defamatory writing against our teachings in the past, again religious misunderstanding. * Steel (Crane): The destroying of our quarters through machine and steel crane in the past. * As we have learned in some remote experiences, the established order and belief systems find it a threat to their empty existence if the Truth-preaching enlightened Ones are victorious, and the people cannot help but follow their virtuous, true ways! The accusations are but unavoidable until all beings on this planet awaken to their real great Self and see God while living. We shall be patient! * Master's speeches and the heavenly Sound within fill our ears with precious melodies! * The great suffering of the people in all the war-torn countries touched the compassionate Sage. Master again went on a world tour to elevate the consciousness of the Earth's inhabitants, to lessen sorrows and fears, and to bring peace and happiness to all. The disciples are always most happy and honored to serve the world too. * Because the "strange birds" are not really birds, they "vanish" after the lecture tour is completed. * "Master"and ("Shih Fu" in Chinese and Aulacese: all titles with which She is lovingly and respectfully called, denote a - "he" teacher. She left Her main quarters in the East to fly around the world to Europe, where a great longing for peace within and without had been generated by the troubled-filled continent and Her people. She crossed great seas and mountains, journeying through snow and rain to France (Europe) bringing the greatest love and blessings from the Most High to Hiers children. Blessed are the ones whose hearts are pure enough to receive! * It is now evident to us why Master used to carry a walking staff or an umbrella. A gourd that hung at the top of the staff contained medicine that She distributed to people She met (mostly to us, the disciples). A "caduceus" represents Hermes staff and medicine (!!!) What a coincidence! A lowering of the wings of those of Friday. * Master and disciples often take God's message to Spanish-speaking countries, Christian holy grounds, and to sacred places of the Muslims. * --- to golden (sunny) South Africa with its inland cities and its seaside townships. Of the two wounded by Alef, Alef. * There are so many branches of the great religious tree, but the prophet predicted: The religion named of the Ocean (CHING HAI means Pure Ocean) will be the victorious one. 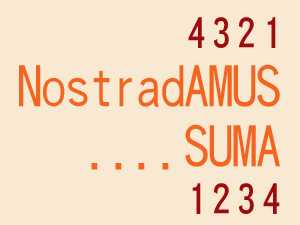 * Adaluncatif sounds as if it is from an ancient language but it is not. (Just as when we say "Abuba bla bla".) The prophet uses it just to symbolize outdated meaningless dogma, which people no longer understand. * Of this heavenly mandated One, other deplored sects will be afraid. 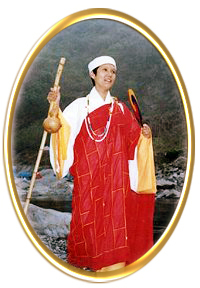 Other modern and ancient prophecies have contained references to the Woman Teacher from the East, while some have even named Her residence as "Miao Li, Hsihu." The psychic and prophet, Madame Blavatsky, one of the leading seers of the 19th century, predicted that the Enlightened One would appear in Asia around the year 1950. "We are at the close of the cycle of 5,000 years of the present Aryan Kali Yuga, or Dark Age. This will be succeeded by an age of light... A new messenger of the spirit will be sent to the western nations. He is appearing in 1975." ＊ Master was born in Aulac, Asia on May 12, 1950. ＊ She went to "the West", and obtained European citizenship circa 1975. Note: To avoid political and religious sensitive issues, the above explanation is not very detailed. For the same reason, Nostradamus dared not mention the exact name, religions or events, etc. For further clarity, call Wireless Co. 999-10000-1.